A Ship Forwarder, also known as Freight Forwarder, is an agent or company who helps to organize the shipment transfer from one location to an end destination. Some would help the client to re-package the shipments, handle storage, inventory management, re-route using different carriers (for instance via land, air or sea), customs clearance and so on. Different ship forwarders may offer different services but more or less they provide the same objective – to move a merchandise from point A to point B. There are several reasons why buyers use the Ship Forwarder solution, for instance, cost saving. If you are going to buy several items from different suppliers from a distant country, rather than get those items ship back to you in separate shipments, it would be much cheaper to pack them into a single shipment for shipping. The local ship forwarder can fit well in this scenario. They could act as a local warehouse to collect all items from different suppliers before dispatching them to you in a single shipment. Another reason might be the restriction placed by the seller. For example, some sellers might not offer overseas shipment services. In this case, buyers would have no choice but to get a local ship forwarder as the medium to re-route the merchandise back to them. So, as the merchant, should I accept ship forwarder shipment? How would I know if this was a ship forwarder address? 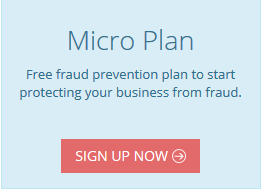 The easier way would be using the fraud detection solution. In FraudLabs Pro, we will provide you an indicator if the shipping address is a ship forwarder address. (Please note that, in FraudLabs Pro, we categorize P.O. Box as Ship Forwarder address). As we mentioned in the above paragraph, there are reasons for legitimate users to opt for Ship Forwarder services. But, it could also be fraudsters trying to camouflage themselves for their malicious plot. These perpetrators use the ship forwarding service to hide their true identities or actual destinations for the purchased goods. By going through a 3rd party ship forwarding service, it will definitely increase the level of difficulty to trace the footprint of the fraudsters. Depending on the nature of your business and your risk appetite, you can decide whether to accept the ship forwarding order or not. However, in most cases, we would recommend you to flag the orders for further review if they are sending to a ship forwarding address. You can make a phone call to the buyers to verify their identity before shipping. Select Address Validation -> Shipping Address. Select Equal to Ship Forwarded Address in the Condition field. Select Manual Review in the action. In summary, the Ship Forwarder may not be the only indicator of a fraudulent order, but something that you should be wary of.